In short, it’s a continuous integration process targeting developers to set triggers and/or thresholds on maintaining quality code using gates. NOTE: Make sure that this task comes before any application build task. This should be the first task. In my example, this task comes after restore Nuget step. This shouldn’t affect how the analysis works. Nuget restore is pretty much restoring Nuget packages for the given .Net solution/project(s). This is the most crucial step of the process. This what sets all the properties in build time. The fields you need to enter here are both the Project Key and Project Name. These values can be obtained through SonarQube’s administration page or the landing page of your project in SonarQube. 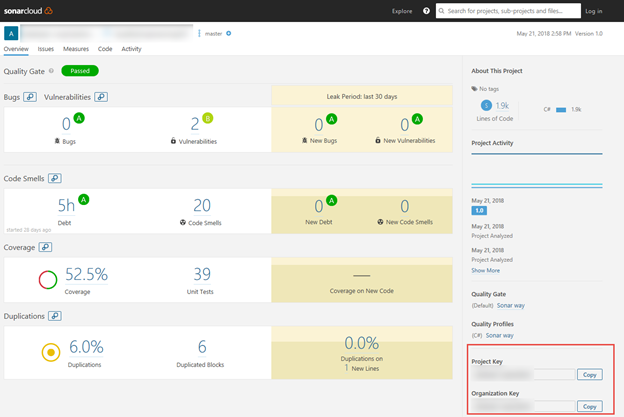 Both Org and Project Keys are specified as well in the project landing page in SonarQube’s site. This step should come after a successfully test task for your build. 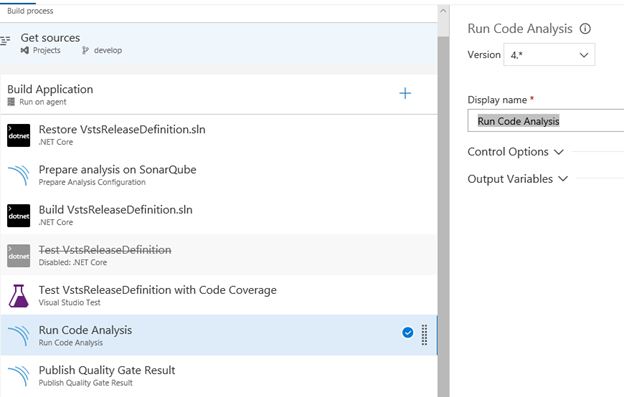 The results from the unit tests are gathered (including code coverage), analyzes the results and preps the proper files for publishing to SonarQube. This is the final step. It should come right after the Code Analysis task. 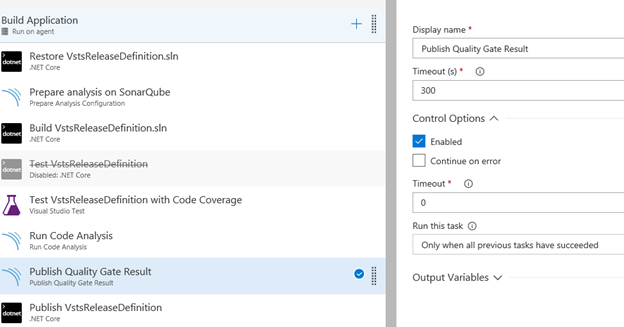 No settings are done here since all settings have been properly set in the first step (Prepare analysis on SonarQube).